Check out these little cuties! 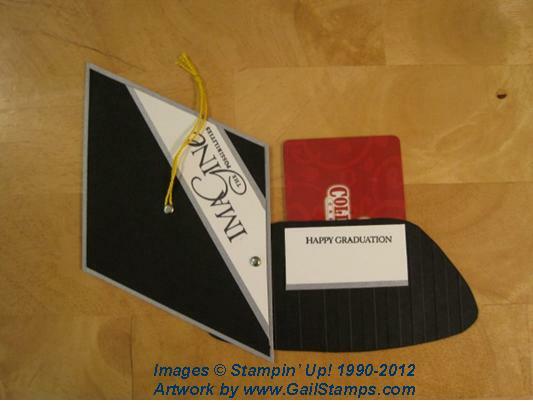 I received three high school graduation announcements in the past couple of weeks, so I put together these nice little hinged “caps” with a hidden pocket for a gift card or check. 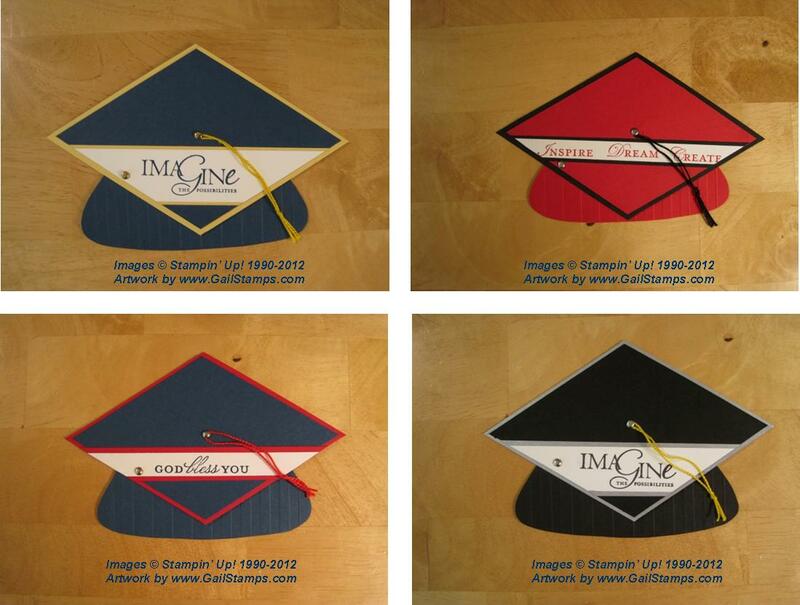 Of course, I had to make them to match each graduate’s school colors! Then I made a college version – Basic Black & Brushed Silver – to keep in my idea stash. 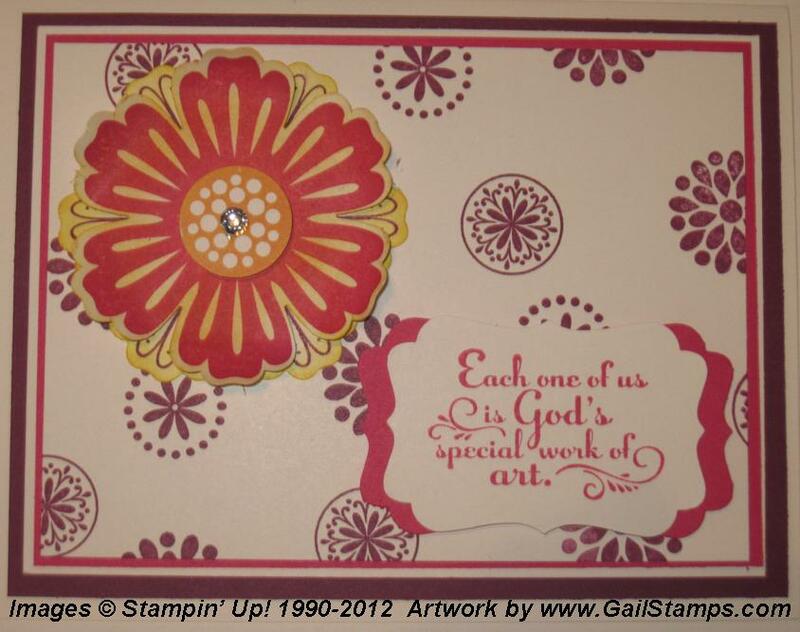 I “borrowed” the idea & pattern from a just-for-demonstrators publication Stampin’ Up! 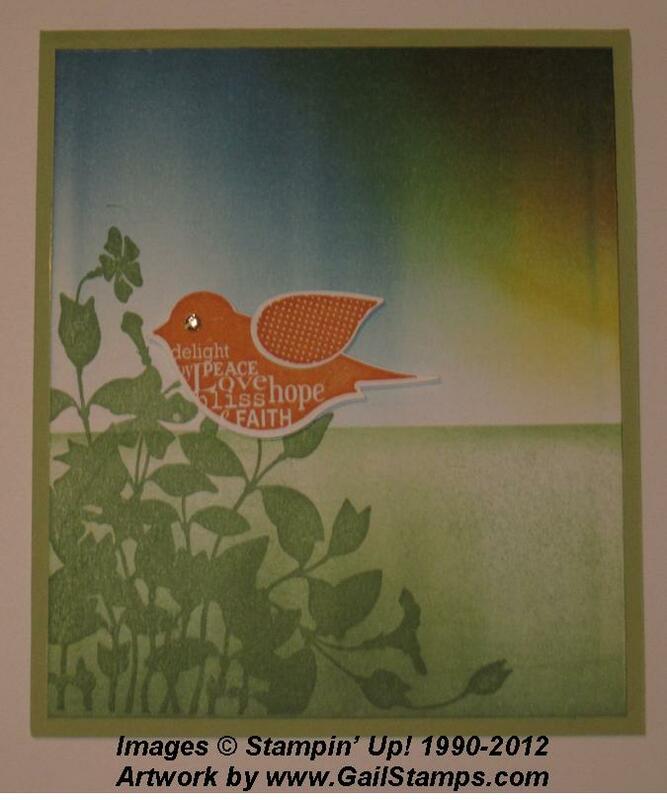 sends out called Stampin’ Success. (That’s just one of the perks of being a demonstrator, by the way!) 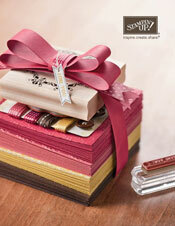 I can send you the instructions and patterns if you’re interested – just shoot me an email. That way you can make your own little caps for your own little grads! Retired/Used Stamp Sets & Accessories for sale at great discounts AND with a fabulous BONUS – $1 of new merchandise credit for every $1 of used product you buy! Yep, you buy retired items and take them home that night, plus you get the same dollar amount to spend in the new catalog anytime within the following week. What a deal – it’s like buy-one-get-one-free! Workshop Booking Incentive – Get 20% off your personal order on any workshop of 3 or more people that you book the night of the Open House. I’ll have my calendar ready – make sure to bring yours so you don’t miss out on this great discount! A Friend – make it a fun, free girls’ night out! RSVP: Email (Gail@GailStamps.com) or call me (393-4009) to reserve your spot! This is where you will find my new blog! As you can see, it still needs a little work. 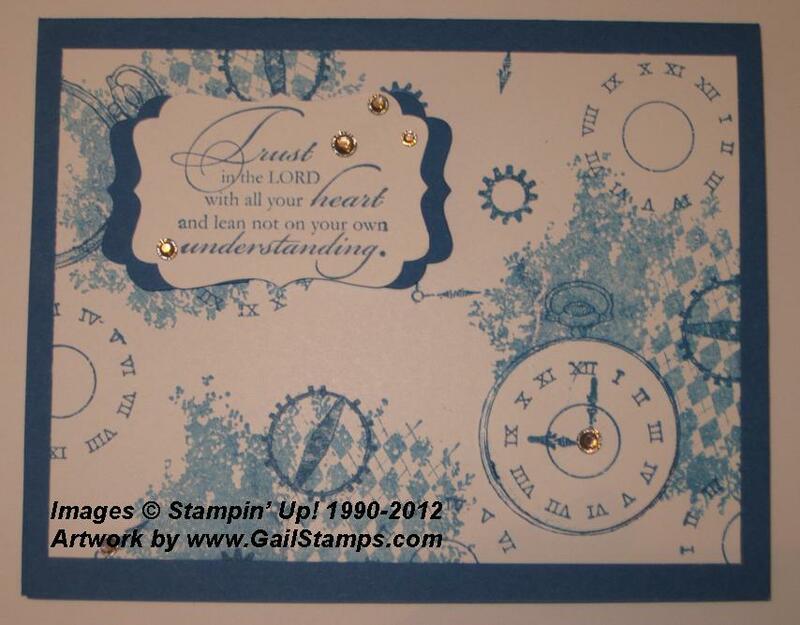 While it’s under construction, you can reach me for questions or orders at gail@gailstamps.com. Looking forward to hearing from ya!